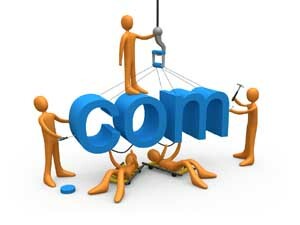 Web site design defines the look and feel of a web site. A web site should be a reflection of your business and business practices. At JDB Technology Solutions, LLC we create web sites from the simple to the sublime. Content management sites put you in the drivers seat. We use a variety of open source software to create our content management sites. Once the basic site is designed and approved, you control what is shown on the site. Update your site as little or frequently as you need. Active sites require the most intensive programming efforts - from shopping carts to calendars. These site often include large "administration" back ends and database connections. Best suited to on-line sales, subscriptions, and information collection. Got opinions? Are you an expert? Blogs are a great way to get your message out and they can help get your website found too. A blog can be a stand alone website or incorporated as a part of a larger site. Creating a blog can be a great wasy to establish yourself as an expert in your field. You can integrate blogs with social media, too. Meta tags contain information about your web page; not information that shows up on your webpage. As such, they are mostly invisible to people. They do, however, impact the search engine spiders that crawl your web pages. They can have a large inpact on search results and getting your web page found. While there are a variey of meta tags, the title, description, and keyword tags have the larggest impact for the search engines.